Just say no to propylparabens. Take a look in your medicine cabinet, and think about it—can you name a single ingredient in any of the products you use every day? It turns out that the average woman puts 515 synthetic chemicals on her skin every day, without even knowing. 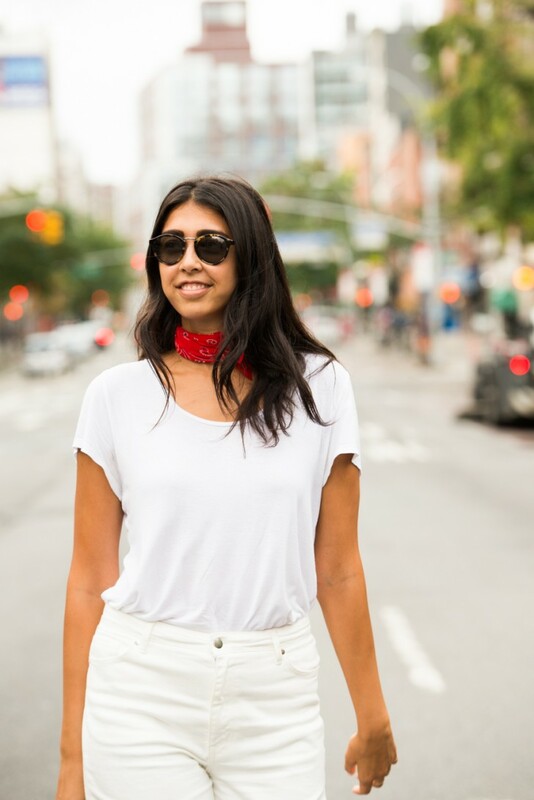 A little over a month ago I spoke with beauty activist Jessica Assaf about the lack of transparency in the beauty industry. She told me a few upsetting facts, among them that the FDA doesn’t require any pre-market testing or approval before beauty products hit shelves. She also explained how the European Union has banned over 1,300 chemicals found in cosmetics, as scientific studies suggest that they could be linked to cancer, reproductive harm, and neurotoxicity. However, the FDA has only banned eight and restricted three. It got me thinking seriously about the products that I put on my body every day. So I decided to do a complete overhaul of my cosmetics and only use products that contain non-toxic ingredients that I can pronounce. When I started researching safe products, it was incredibly frustrating. Not only were they more expensive (natural deodorants hovered around the $20 mark while the deodorant I normally use is $4), but also, many brands that market themselves as organic and natural, aren’t. As it turns out, there are no regulations when it comes to labeling in the beauty industry. Going through every ingredient in every product is time-consuming and exhausting. Thankfully, Assaf sent me a list of products that contain safe ingredients that she would put on her skin. And so I embarked on a month-long journey using natural deodorant, lots of coconut oil, paraben-free sunscreen—all-natural, all the time. No more propylparabens, methylparabens, and ethylparabens (three chemical compounds that have been linked to cancer), and absolutely no crude oil: petroleum derivatives or mineral oils. 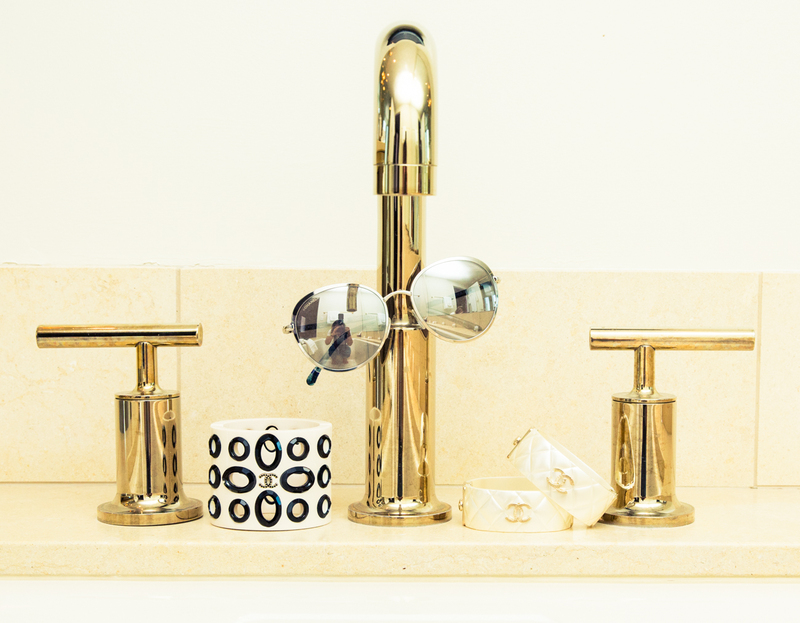 At first, my skin freaked out a little—I guess it had gotten used to all the synthetic compounds I had been using. I had a few breakouts (which, at my age, is pretty rare), and I found it difficult to find comparable products to the mainstream ones I had been using. But with a bit of trial and error, I managed to fall in love with several safe, nontoxic products. I’m just going to be honest here: Natural deodorant is a little rough. It isn’t the same as the chemical-filled one I’m used to, and it didn’t keep me from sweating—it just covered up the scent. 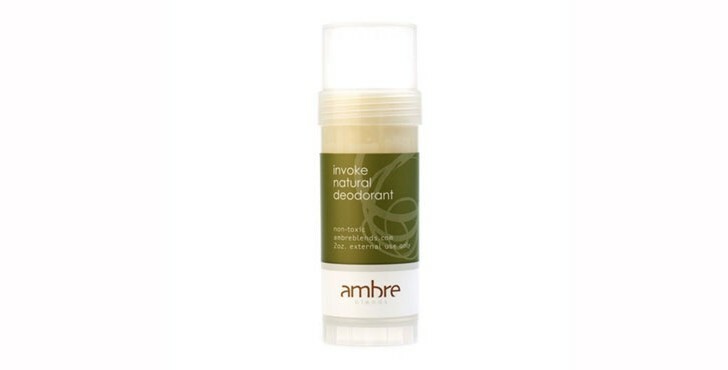 I tried several different brands, and the winner was Ambre Blends. It smelled great and was the best when it came to not getting stinky. I won’t be wearing it during hard workouts, but for daily life, it works. I tried a few options, but at the end of the day, I found that straight-up coconut oil is the best and cheapest option. I applied it after I showered, and my skin has never been softer. I’m not used to putting oil on my face, but Raw Is Everything’s facial moisturizer has completely changed my mind. It’s made up of 100 percent unrefined, cold-pressed passionfruit seed oil, and my skin is glowing. Oh, and I also use it on my lips as a balm. W3ll People’s Capitalist Brow Powder is free of artificial preservatives and did wonders to make my brows appear fuller. 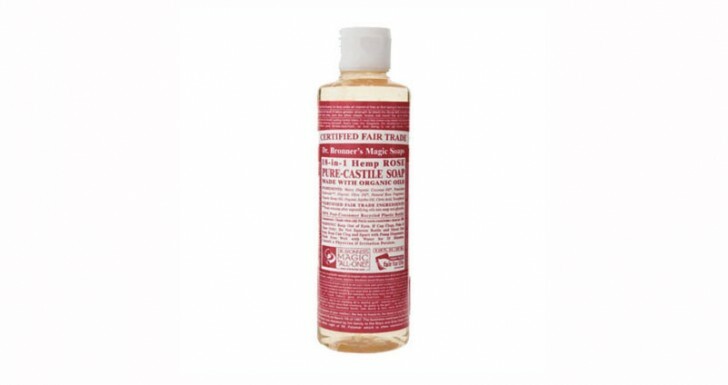 Dr. Bronner’s Rose Pure-Castile Liquid Soap is going to be my new go-to. It works on my skin, in my hair, and even for washing dishes. There is nothing that frustrates me more than makeup remover that doesn’t remove all my mascara. Thankfully, I discovered S.W. 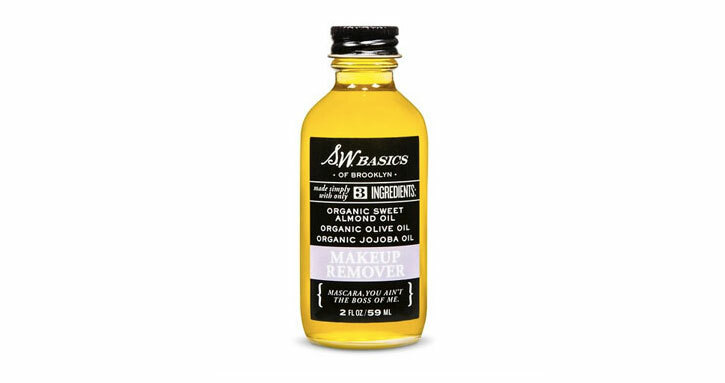 Basics’ Makeup Remover, which is heavy-duty without being harsh on my skin. And its combination of sweet almond, jojoba, and olive oil really works at removing everything. One Love Organics Foaming Cleanser smells great and left me feeling refreshed. I will definitely continue using this one. The entire experience had its ups and downs. 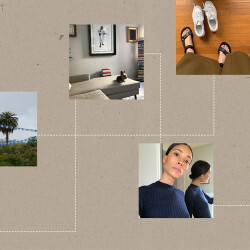 I tried shaving creams that didn’t foam, concealers with weird textures that actually accentuated the bags under my eyes, and sunscreens that gave me a rash. In general, I found it much harder to find good makeup options—like lipsticks in bright colors and foundations with good coverage. Hey, natural beauty industry: You should work on that! But when it came to skin care, I had much more luck. Once I found the right products, my skin started to look better than ever (or so I was told by a coworker). And there’s a particular peace of mind that comes with putting things on my body that I could theoretically put in my mouth. While I’ll probably return to my old red lipstick and go back to my regular concealer, I do plan on sticking with my new skin-care routine. But I should mention, using safe, nontoxic products is expensive. Unrefined, cold-pressed oils come at a price, and they certainly aren’t as cheap as mainstream drugstore brands. But you get what you pay for. I’ve spent $$$ on a chemical-filled face cream before—why not one that keeps me from putting 515 synthetic compounds on my skin every day?